Premier League players would still suffer "significant abuse" if they chose to reveal they are gay, Football Association chairman Greg Clarke has warned. Clarke was answering Commons Select Committee questions at the government's governance of football inquiry. "I'm cautious of encouraging people to come out until we do our part of the bargain and stamp out abuse," he said. "I am personally ashamed they don't feel safe to come out." Justin Fashanu became the first player in England to come out as gay in 1990, but took his own life aged 37 in 1998. No male professional player has come out while playing in England since. 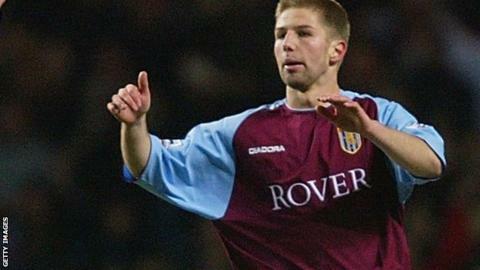 Former Germany and Aston Villa player Thomas Hitzlsperger became the first player with Premier League experience to publicly reveal his homosexuality, in January 2014, after he had finished playing in England. Former England women's captain Casey Stoney was the first active footballer to come out in England since Fashanu, in February 2014. "I would be amazed if we haven't got gay players in the Premier League," Clarke added. Clarke was questioned about a Daily Mirror article from 2015 that claimed two Premier League players, including an England international, had been preparing to come out. The Mirror also alleged a Premier League player came out to his team-mates in 2011, but did not go public after a homophobic slur was painted on his car. Clarke, 49, denied knowing the identity of the players - and told the committee members he would not name them even if he did. Clarke also cited the weekend's League Two fixture between Leyton Orient and Luton Town, at which homophobic chanting was reported, saying he would "come down like a tonne of bricks" on anyone found guilty. "If I was a gay man, why would I expose myself to that?" Clarke asked. When will a Premier League footballer come out? "Before we encourage people to come out we must provide the safe space where they have the expectation to play or watch football and not get abused. "There's a very small minority of people who hurl vile abuse at people who they perceive are different. Our job is to stamp down hard on their behaviour." Asked what would happen if a Premier League player came out, Clarke said: "There would be significant abuse because we haven't cracked the problem. "I was at Egham Town v St Albans in the FA Cup. There were about 300 people and everybody knew everybody else, there was no vile abuse. "When you're in a big crowd, you're anonymous and the bad people get brave. "The good news is we're not in denial. We may not have figured out how to crack it yet but there's a deep loathing of that sort of behaviour within football." Clarke said he would next week attend his first FA inclusion advisory board, which provides guidance on all equality matters.